Caseneuve is a small village in the heart of the Luberon Regional Nature Park, near the Colorado Provençal and famous villages of the Luberon: Gordes, Roussillon, Bonnieux, Ménerbes, Lacoste, Lourmarin, Le Buoux ... All shops and a large Provençal market in Apt to 10 km. Many opportunities for outdoor activities: hiking, horseback riding, biking on trails, climbing and water sports. Tennis courts in Viens and Apt. 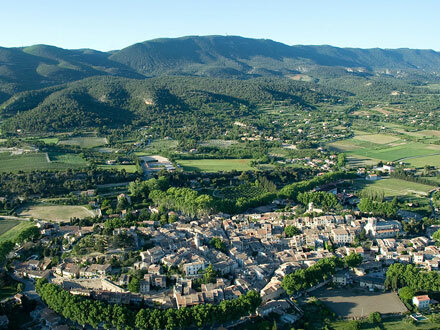 To the south, the hills of the Luberon dominate the quiet course of the Durance. Dry stone walls gilded by the sun, tinted facades by natural ochres from the Provencal Colorado, terraces, fountains and shaded plots, in each village, artists and artisans demonstrate their talents. On the hillsides vineyards and cherry trees grow, and the plain is full of fruit, including the famous Cavaillon melon. Find unique luxury homes, apartments, cottages, farmhouses, villas with private pool and the best self catering holiday rentals in Caseneuve, Vaucluse, South of France. Provençal stone-built detached house in Caseneuve [4 people] on a horse farm (ref. M1267). Provençal stone-built detached house in Caseneuve [5-6 people] on a horse farm (ref. M1266). Provençal stone-built detached house in Caseneuve [6-8 people] on a horse farm (ref. M1264). Provençal stone-built detached house in Caseneuve [6 people] private swimming pool, on a horse farm (ref. M1265). Provençal stone-built detached house in Caseneuve [9 people] on a horse farm (ref. M1248). Provençal stone-built detached house in Caseneuve [17-19 people] private swimming pool, on a horse farm (ref. M1667).